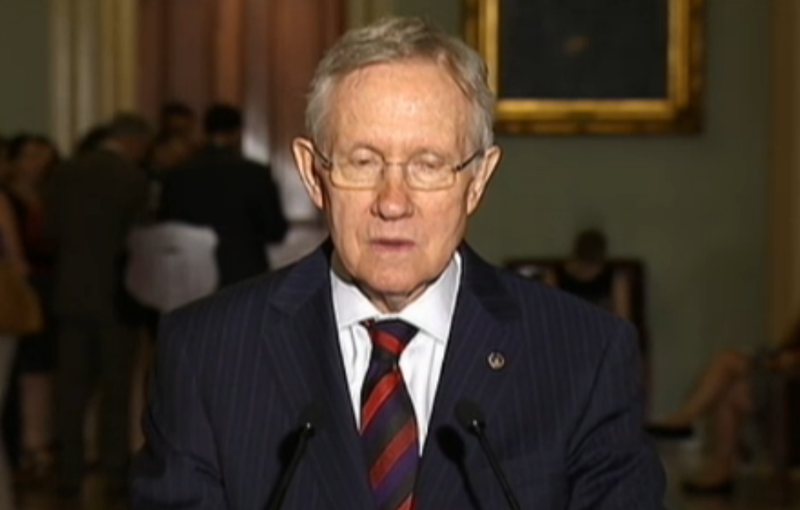 Harry Reid (D-NV) answers a question here regarding Immigration Reform. Notice the expression - particularly with his mouth - the Senate Majority leader makes at the 0:11 mark. This is a brief and straight-on view of what in body language parlance is known as a "Lip Purse" (see image below). Pursing of the Lips is a nonverbal that is made by someone who, at least in that moment, perceives himself and his position to be an alpha (relative to the antagonist at hand). It also is a signal that they believe their plan/opinion/answer is superior - however they will only be sharing a part (perhaps none) of it openly. Because they are the relative alpha - they also believe they have a reasonable chance, the resources and power to successfully execute their plan. Think of the lip purse as a signal of clandestine disagreement and strengthen your "Plan B" for an ambush. You may not have a master tactician like Senator Reid across the table from you - but you should never take a lip purse casually.